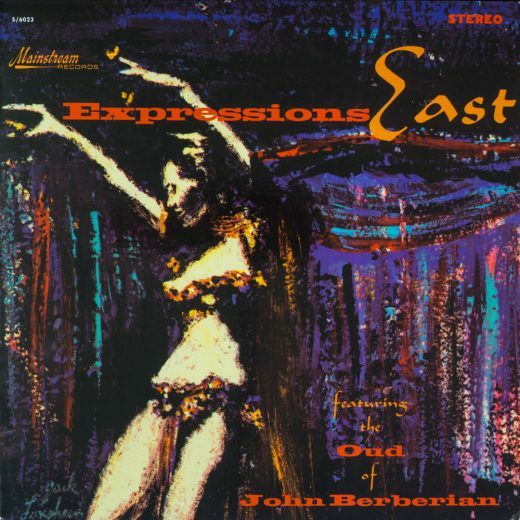 “… this set should appeal, not only to belly dancers, but also to jazz fans with an ear for the unusual.” So Cash Box, the widely respected record industry trade paper, summed up John Berberian’s “Expressions East” album. We at Mainstream felt this accolade was particularly significant because it was based, not only on aesthetic criteria, but on potential salability as well. Happily the Cash Box prognosis proved accurate. John’s album was a “giant” in terms of sales and acceptance. 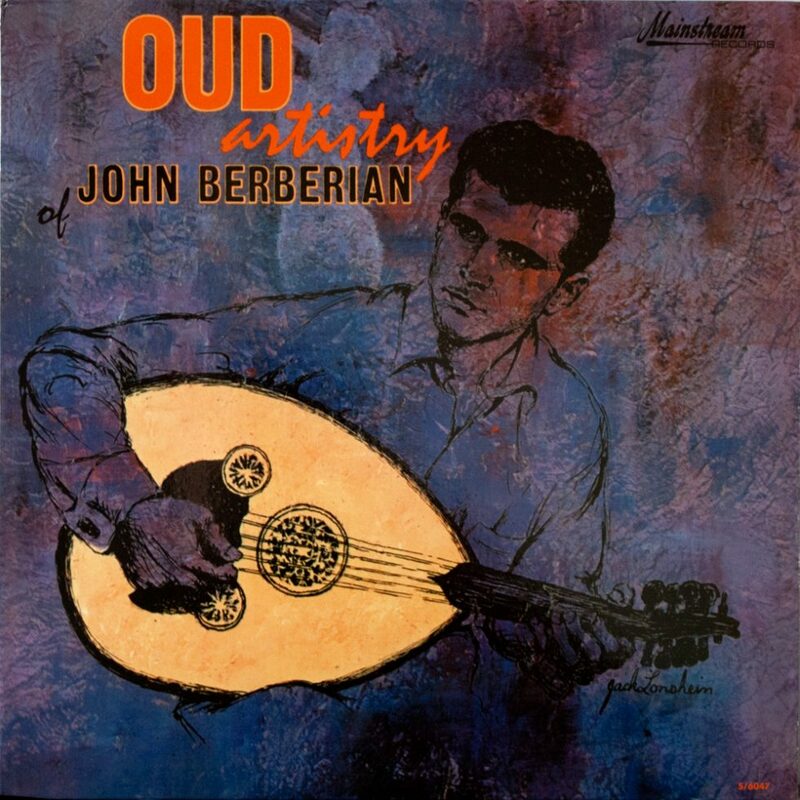 “Oud Artistry of John Berberian” is, of course, the follow-up album to “Expressions East” and it is no less an impressive affair. Again on this album John has brought together some of the finest exponents of Armenian, Turkish, and Arabic music, including James Shahrigian, bass; Souren Baronian, clarinet and bongos; John Yalenezian, dumbeg; Jack Chalikian, canun; Steve Pumilia, finger cymbals, def, dumbeg and tambourine; John Valentine, guitar and dudoog and Bob Tashjian, vocals. “AZZIZA” is a driving Arabic instrumental with the oud and bongos setting the pace in frantic counter action. “BIR-DEMET YASEMEN” is a dramatic presentation of 6/8 rhythm coupled with a profound lyric. “SEVAN 5/4” is an instrumental native to Armenia. The title refers to the unorthodox 5/4 meter. “SAVGULUM” is a pulsating example of a rhythm that never ceases; of a composition that is never forgotten. “YARUS” is a prize in Armenian vocal composition. Here again one is struck by the profundity of the lyric. “SEVASDA” features words and melody that are traditionally Turkish. 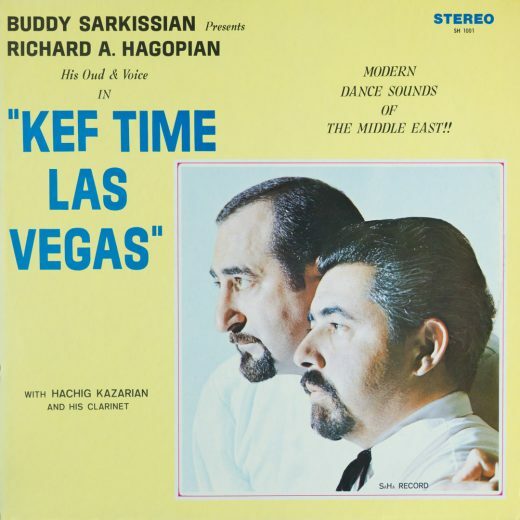 The 6/8 time signature however is common to much of the music of the Middle East. “RAST TAKSIM” refers to a form of improvisation. It’s often meant as an introductory passage, however, it’s here presented as a complete work expressive of mood and emotion. 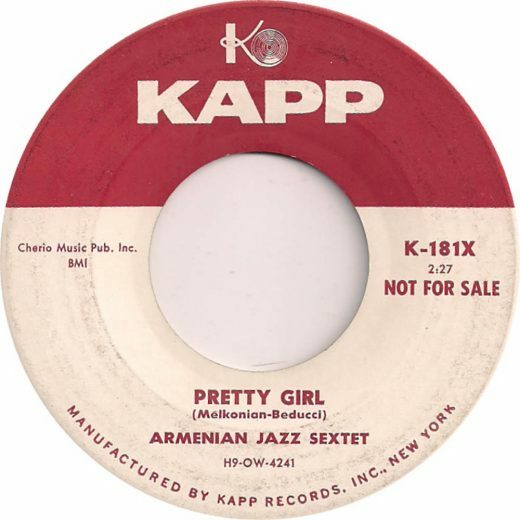 “RAST SAZSEMI”-the Sazsemi is a classic example of Turkish art music. Printing and Fabrication – GLOBE ALBUMS, INC.
Information is taken from the cover of the record.